It’s important to remember that you are unique: Everyone was born with a different biochemical makeup. You have trillions of little energy factories called mitochondria that provide the fuel to run everything in your body. If you can remember high school biochemistry class, you know mitochondria convert the oxygen you breathe and the food you eat into energy for your body to use. Likewise, starvation mode means your body clings to fat. After all, your body’s number one priority is keeping you alive, not necessarily fitting into that bathing suit when summer arrives. In fact, your body is extremely well adapted at holding onto fat. Yo-yo dieting, undereating, calorie-restrictive dieting or other extreme measures force your body’s metabolism to slow way down and store fat for that “rainy day” that never comes. Lifestyle factors can also impact your mitochondria. Environmental toxins such as pesticides, mercury and radiation, as well as hidden infections and stress can harm your energy system. Your gut microbiome can even be a problem if unhealthy; inflammatory bugs outnumber the good bugs. These bad bugs release toxins called lipopolysaccharides. You absorb these toxins, creating inflammation and damaging your mitochondria. Anything that causes inflammation and oxidative stress damages your mitochondria. Go for color. While nutritionists often disagree, one thing nearly everyone concurs with is that we need to eat plenty of fresh vegetables and other plant foods. Colorful, antioxidant-rich plant foods become essential for healthy mitochondria and reducing oxidative stress. Avoid sugar and flour. High-glycemic, high-carb foods put tremendous stress on your mitochondria. In fact, quickly absorbed carbs are the biggest driver that damages your entire system. Move more and faster. Research shows high intensity interval training (where you go all out for 30 to 60 seconds, slowing down for a couple of minutes, and repeating) coupled with strength training is an excellent way to make new, improved mitochondria. Strength training builds muscle and creates more mitochondria, while interval training improves mitochondrial function and how quickly they burn oxygen and calories. You can learn more about another effective exercise plan here. Another helpful article from YogaUOnline and Dr. Mark Hyman - How to Fix Your Gut Bacteria and Lose Weight. 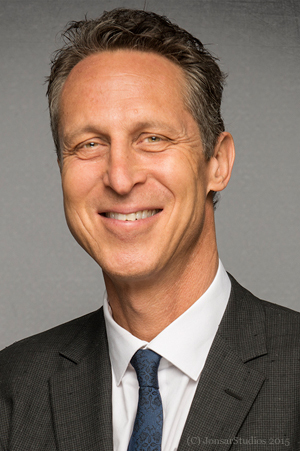 Mark Hyman, MD, believes that we all deserve a life of vitality—and that we have the potential to create it for ourselves. That’s why he is dedicated to tackling the root causes of chronic disease by harnessing the power of Functional Medicine to transform healthcare. Dr. Hyman and his team work every day to empower people, organizations, and communities to heal their bodies and minds, and improve our social and economic resilience. Dr. Hyman is a practicing family physician, a ten-time #1 New York Times bestselling author, and an internationally recognized leader, speaker, educator, and advocate in his field. He is the Director of the Cleveland Clinic Center for Functional Medicine. He is also the founder and medical director of The Ultra Wellness Center, chairman of the board of the Institute for Functional Medicine, a medical editor of The Huffington Post, and was a regular medical contributor on many television shows including CBS This Morning, Today Show, Good Morning America, CNN, and The View, Katie and The Dr. Oz Show.